Services - Metaland Inverell - Top-quality steel products Inverell, Glen Innes, Warialda, Bingara, Moree, Tenterfield, Bundarra, Ashford and Northwest New South Wales. Metaland Inverell offers you expert advice on all of your steel, fencing and stock handling products. We offer free quotes on all of our products, and unbeatable prices. We guarantee complete customer satisfaction every time you work with our team. We deliver throughout Inverell, as well as the entire Northwest region of New South Wales. 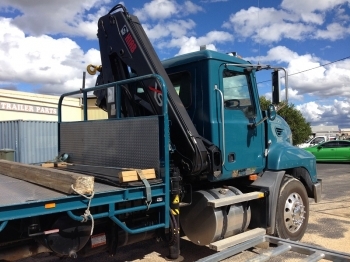 Our crane-equipped delivery vehicle will transport your steel and equipment to your site. As a locally-owned business, we work quickly and efficiently to ensure complete customer satisfaction every time. Our customers are extremely important to us and we’ll do everything we can to provide you with the right steel and equipment to meet your individual requirements.